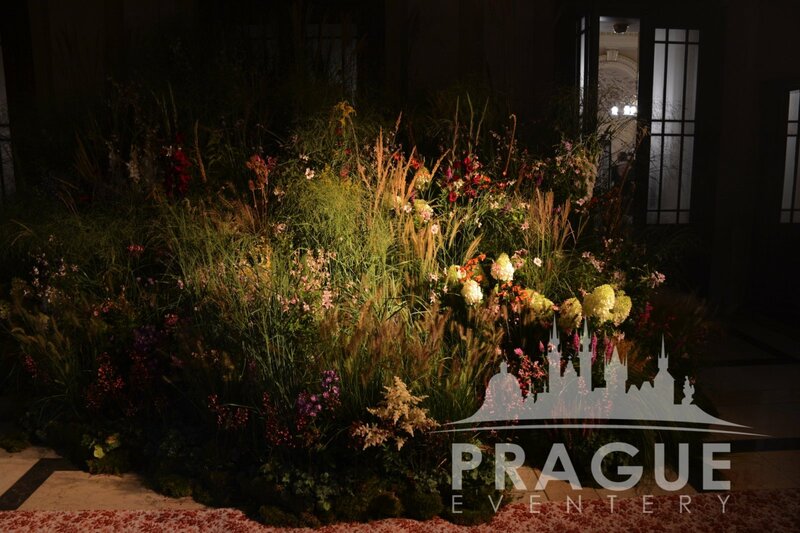 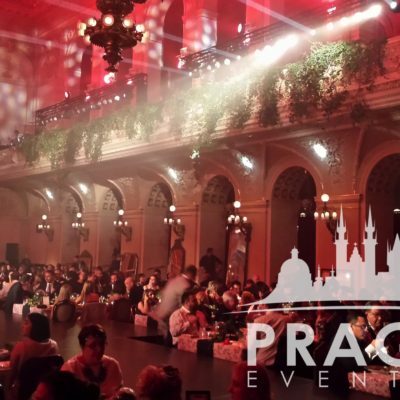 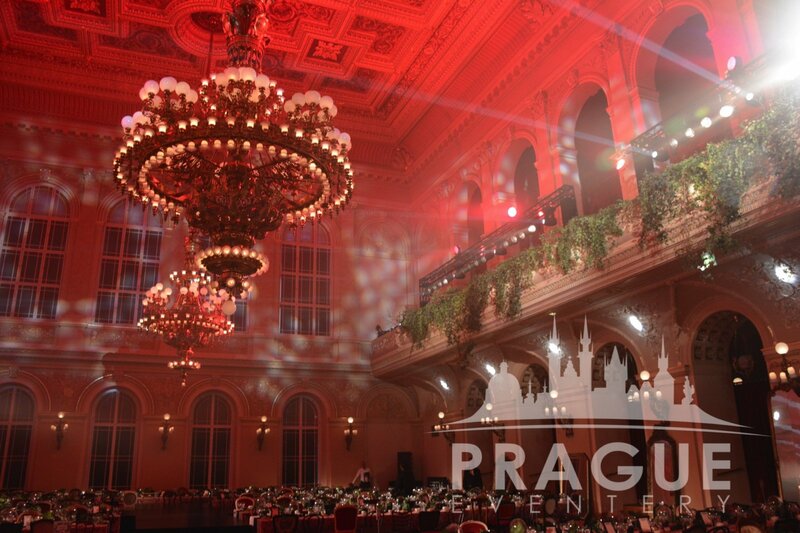 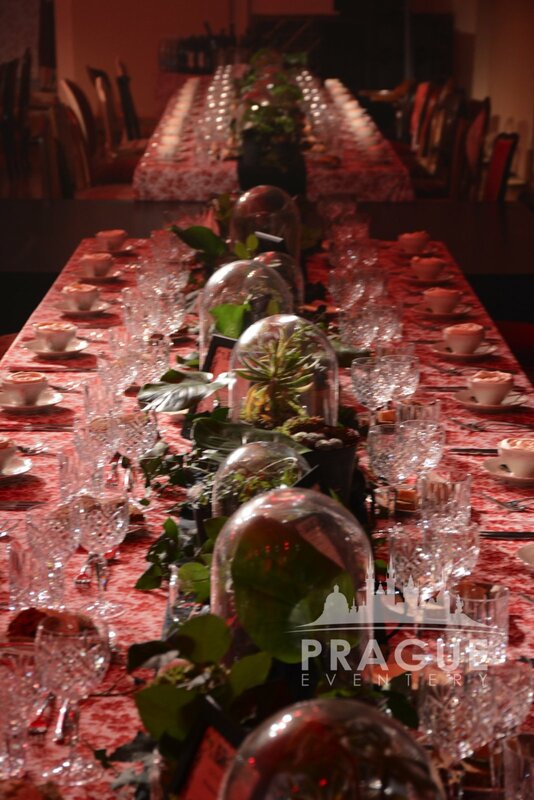 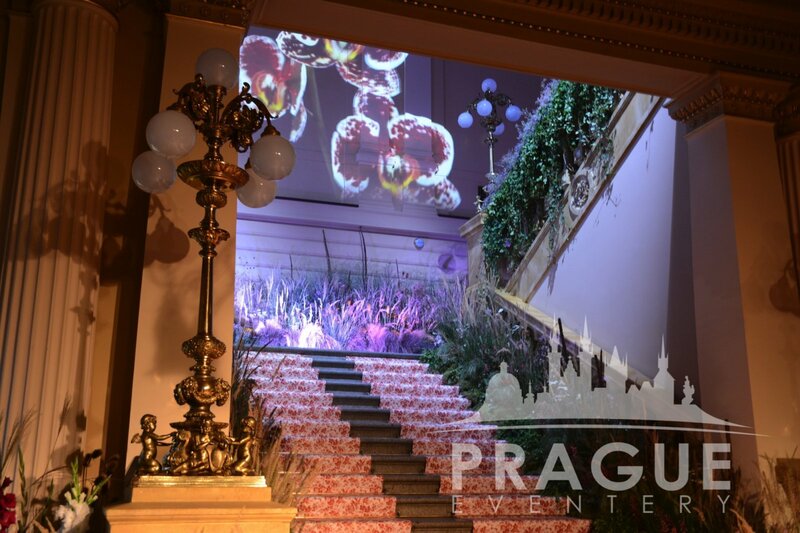 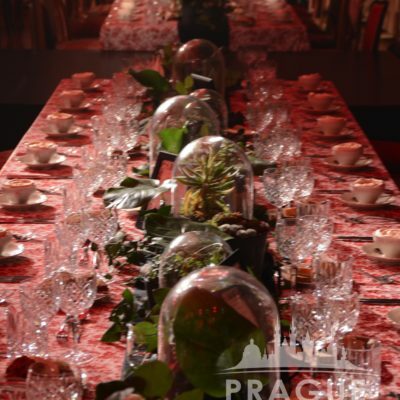 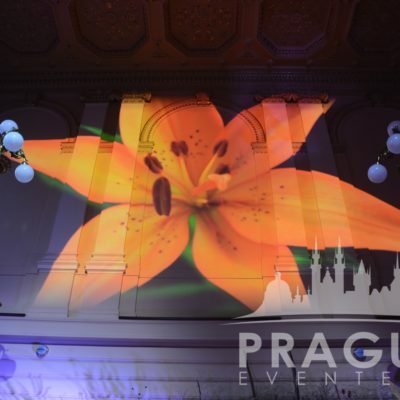 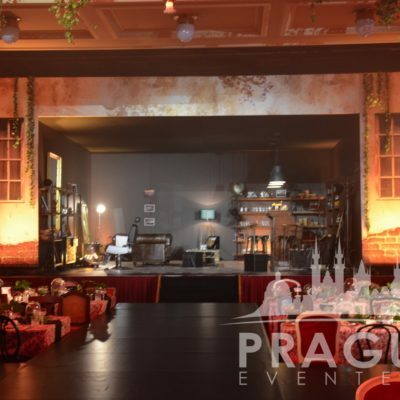 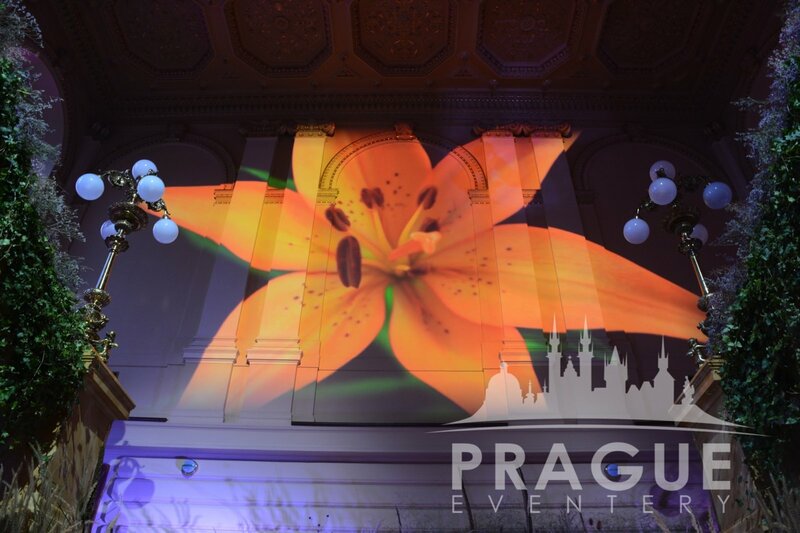 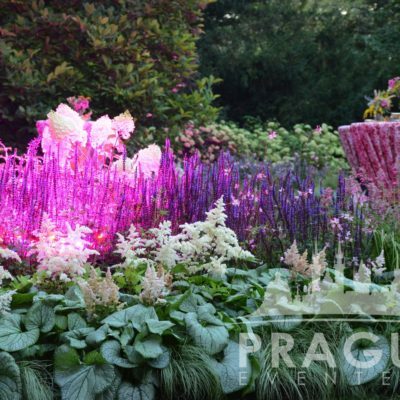 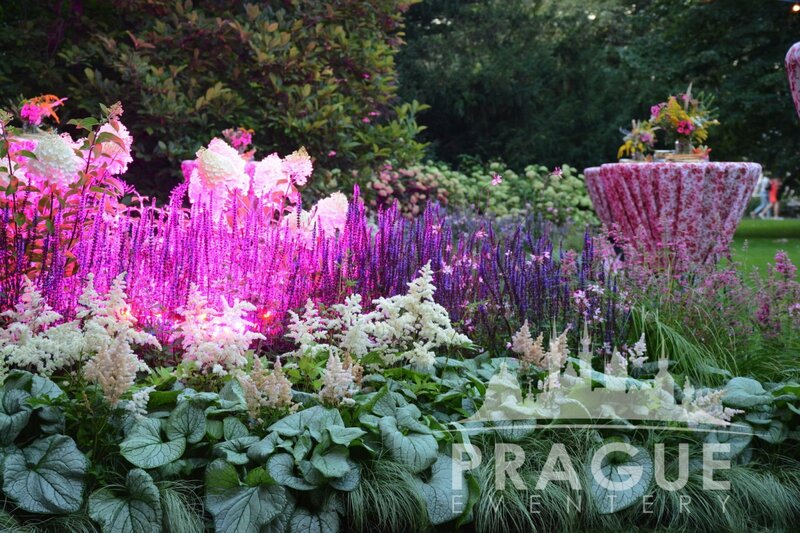 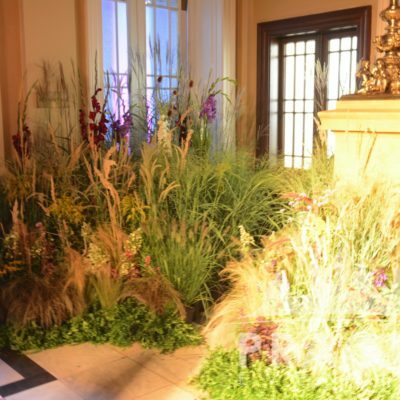 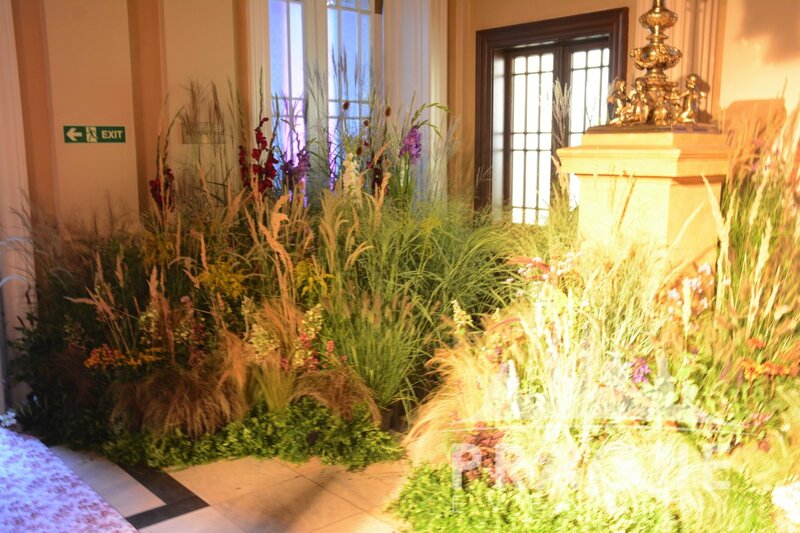 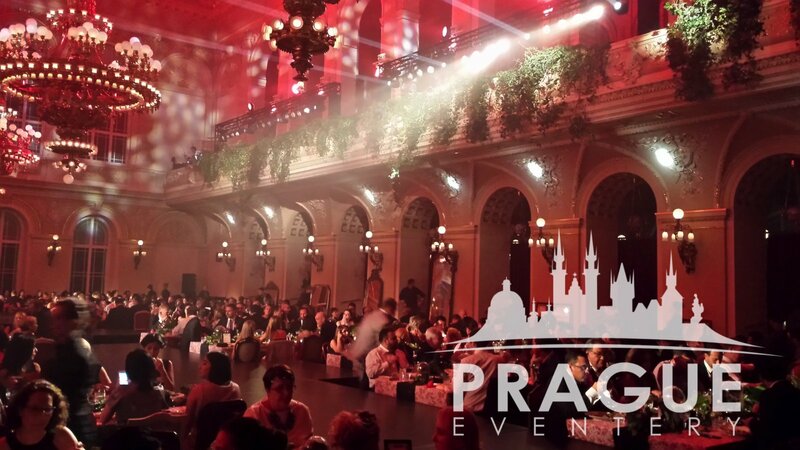 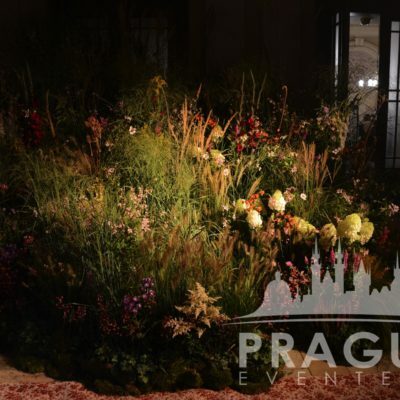 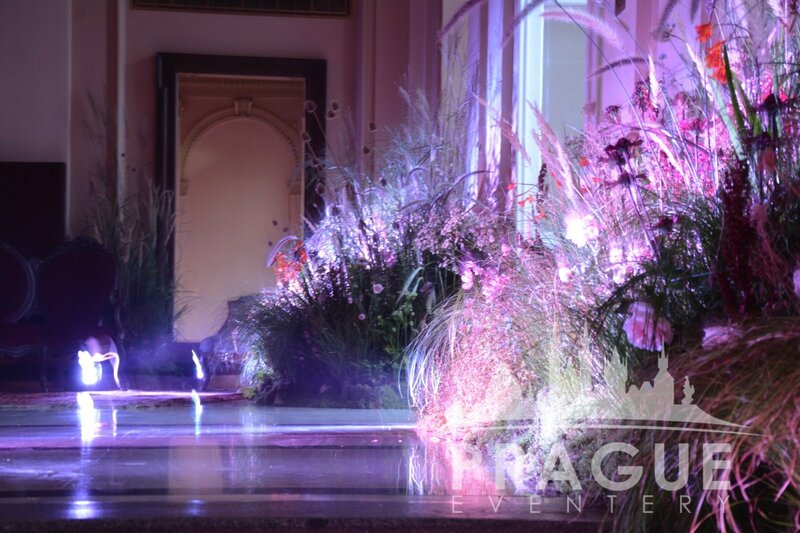 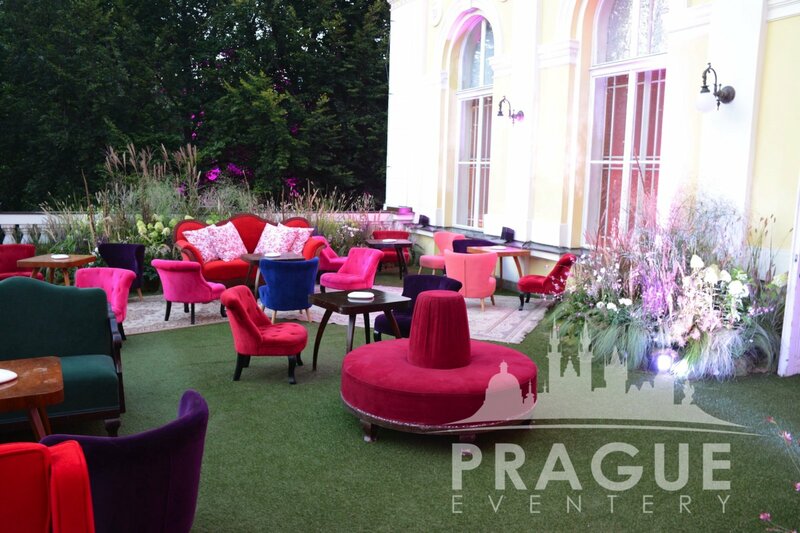 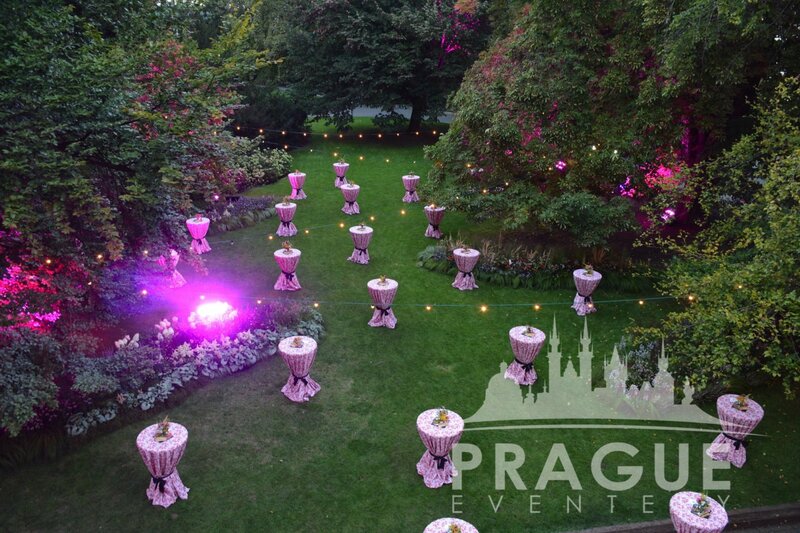 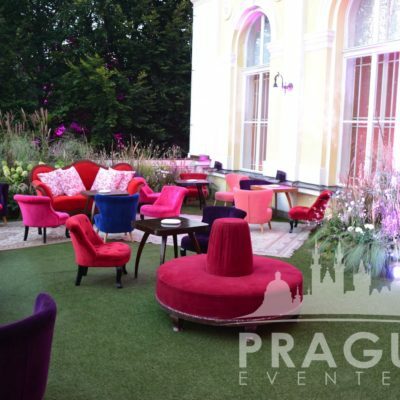 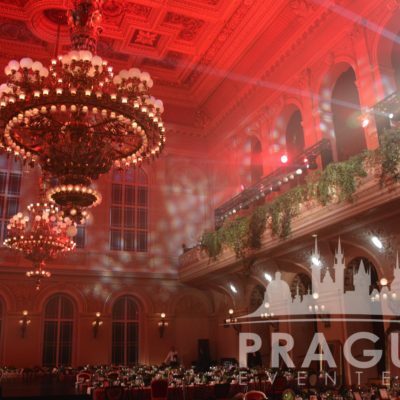 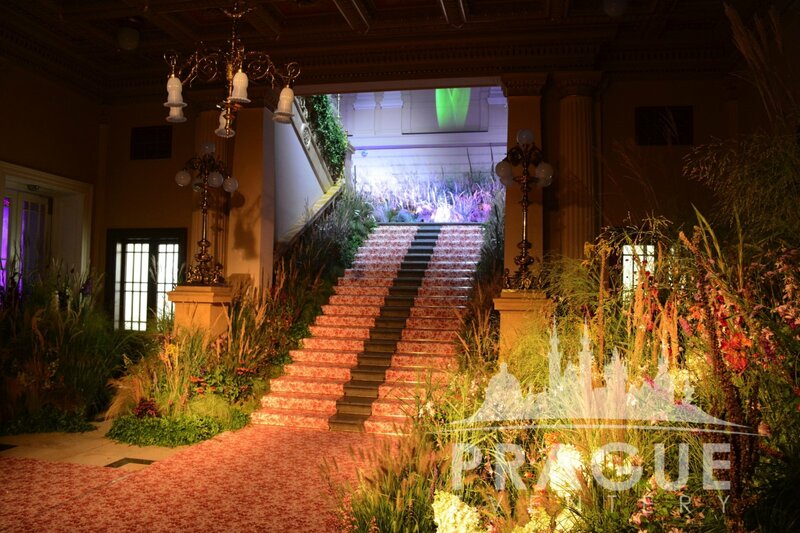 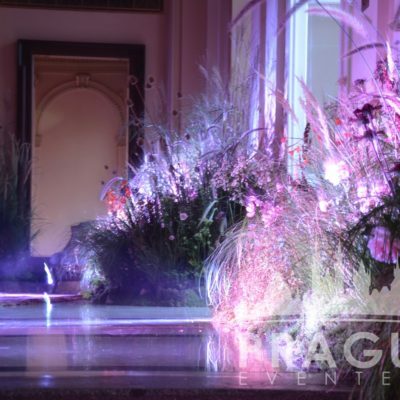 EVENT DETAILS : We produced a super glamorous, high profile Gala event in which the interiors of a grand Palace were transformed into a fairy wonderland forest scene scape with over 30 large trucks full of plants, trees, and beautiful wild flowers. 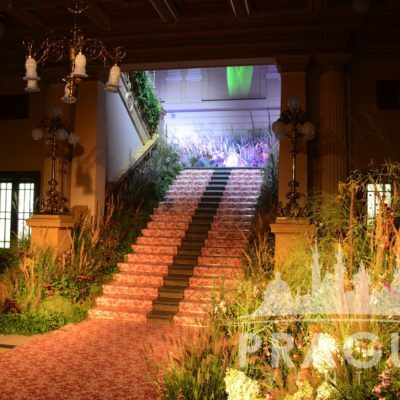 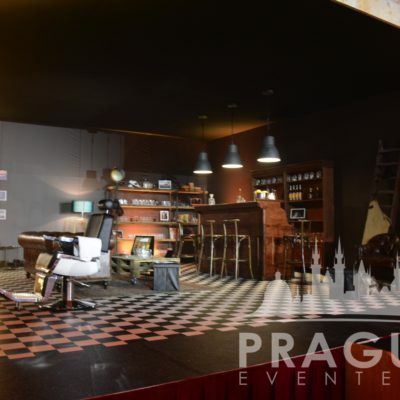 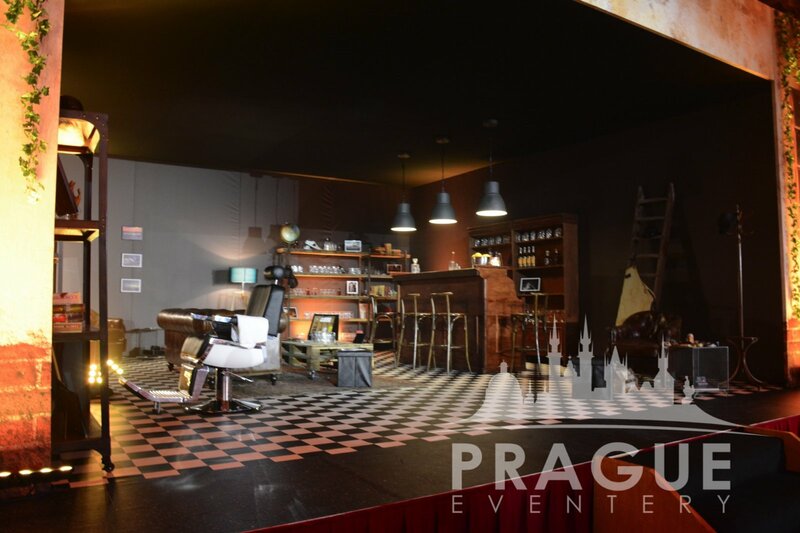 The entire Palace took a full team 3 days to setup with dramatic lighting, a special runway stage through the middle of the room for elaborate performances, and a genuine English barbershop raised up on a platform and setup at the end of the runway. 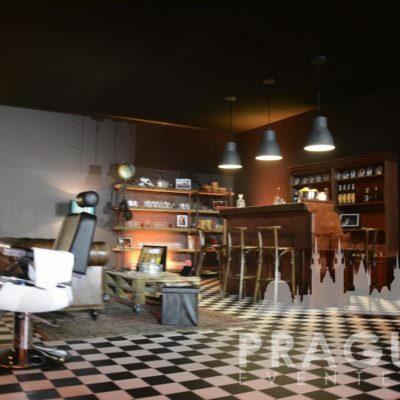 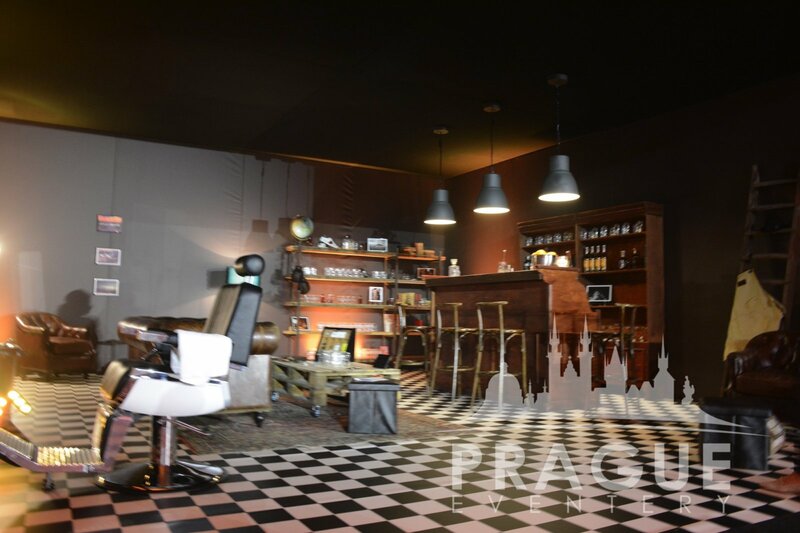 The barbershop was a complete reconstruction and involved creating red brick walls for the façade, a separate ceiling with hanging lighting, flooring, doors, and French windows. 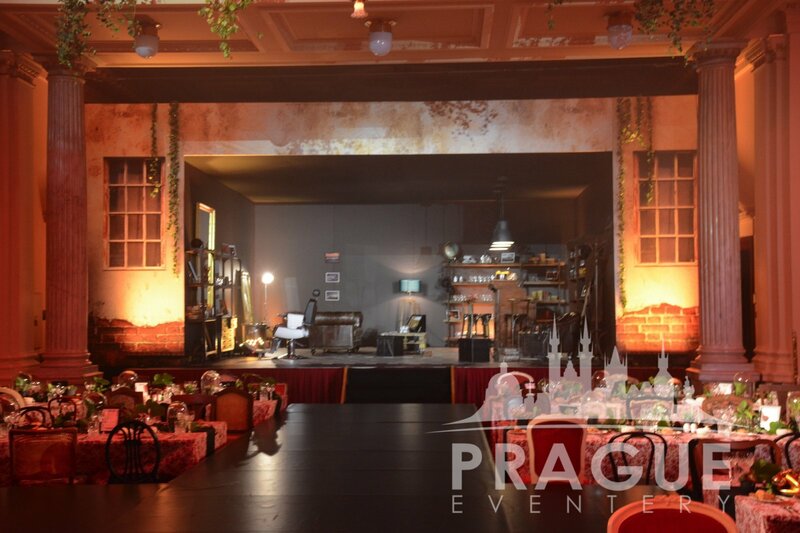 The event was definitely the talk of the town, and a beautiful example of a magical dream converted into a grand reality.